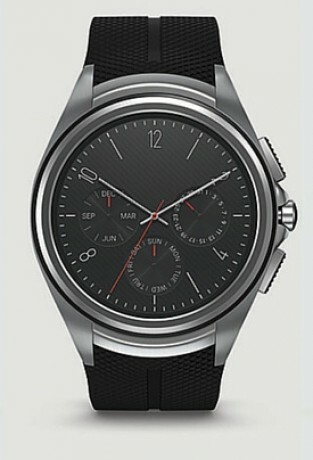 Following AT&T, Verizon Wireless today said customers can place orders for the LG Watch Urbane 2nd Edition with LTE. This wearable, delayed by several months due to manufacturing issues, has its own cellular connection to Verizon's network and can be used fully independent from a smartphone. It can make calls and send messages from the owner's main cell number. The wearable runs Android Wear and costs $499. Verizon will drop the price by $50 for those willing to sign a contract. It costs $5 per month to add the watch to an existing service plan. For a limited time, Verizon will sell the watch for $399 when purchased with the LG G5 or V10 smartphones. LG announced the V10, a flagship smartphone that includes a ticker display, double cameras, and a more rugged design than some of LG's previous handsets. The main screen measures 5.7 inches and has quad HD resolution, while the secondary display, which sits above the main one, measures 2.1 inches and has 1040 x 160 pixels.